it’s strange. old airport road is such a famous eating place, but i can only remember once i came here with another friend probably 5 years back & he introduced me to a beef noodle stall. 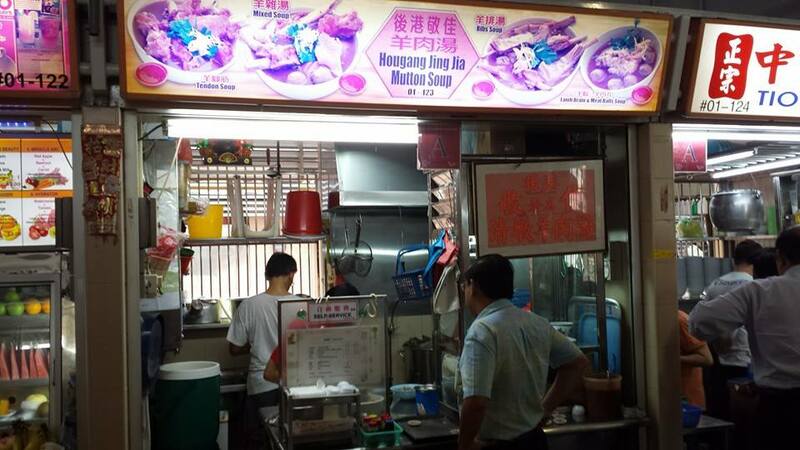 it tasted nothing like the hong kong 牛腩面 stalls. i must have been here some other time but there was nothing in my recollections. 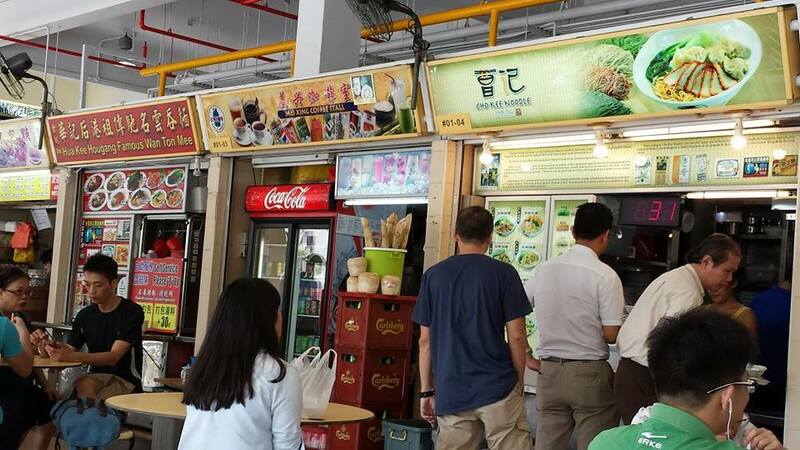 this friend comes here like once a month so he gamely walked me round the hawker centre, pointed to the famous hokkien mee stall (no queue yet), past the lor mee stall (already like 15 people in the queue), the fish head beehoon stall (about 6 in the queue). 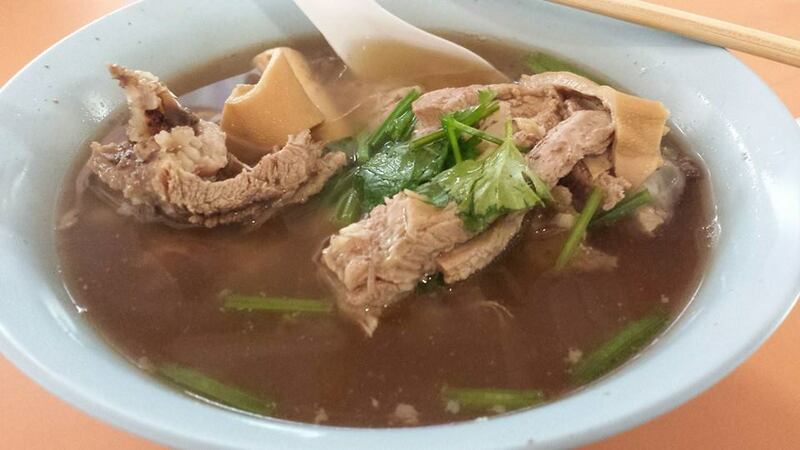 we ended up at the hougang jing jia mutton soup stall. i went to get 2 bowls 牛杂 mixed rib, tripe, tendon (S$6 each) & he queue for a char kuay teow (S$4 加料 with added ingredients of prawns & squid). it might be that my expectation was a bit high. 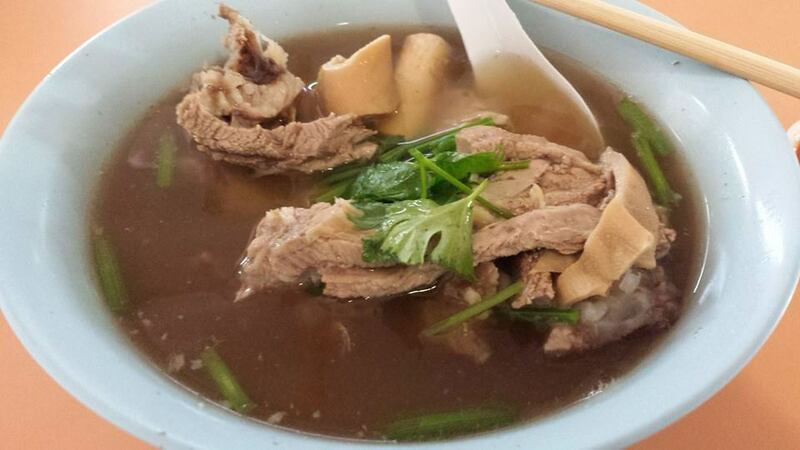 i was expecting like chai chuan you 柴船头 @ bukit merah view standard. 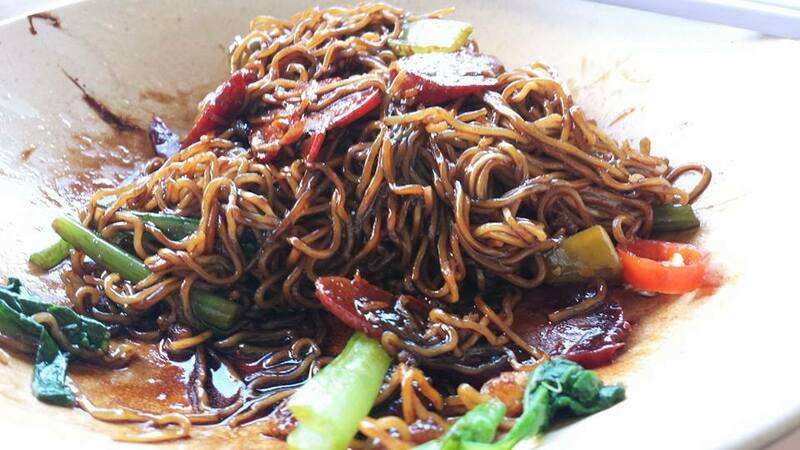 or at least the standard of yu ji@whampoa market or the other stall #01-75 at whampoa market. 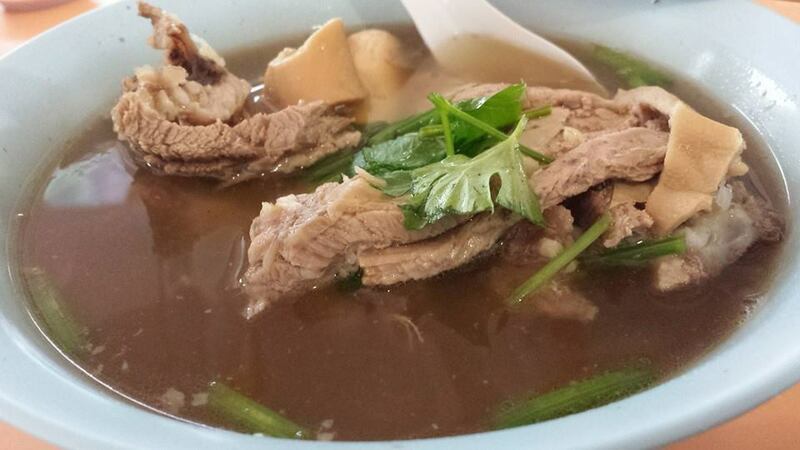 but this hougang jing jia mutton soup was quite a let down actually. something was not quite right about the taste. soup was not as flavourful. i felt the meat was overcooked & too soft not the texture i like for mutton ribs and not as tasty, and chilli was simply too dilute. for me, this was not comparable at all with the other 3 stalls. 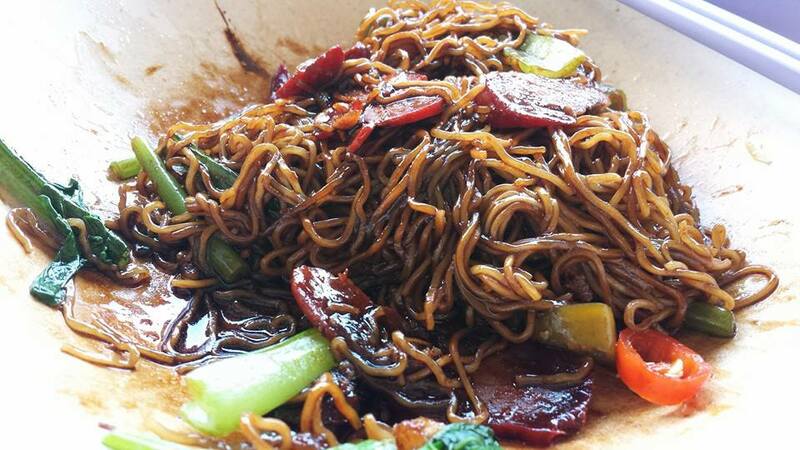 my favourite is chai chuan you 柴船头 @ bukit merah view but i like the 2 whampoa stalls too. the dongji char kuay teow was good. very good wok hae. 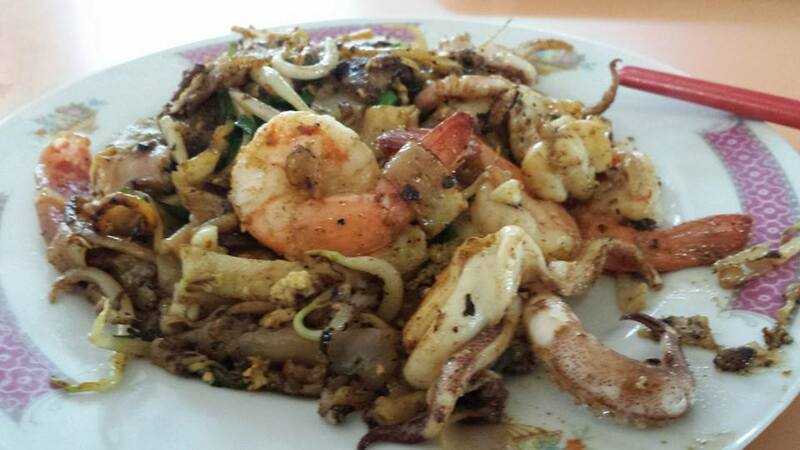 and S$1 加料 for all that added ingredients of prawns & squid was just incredible. 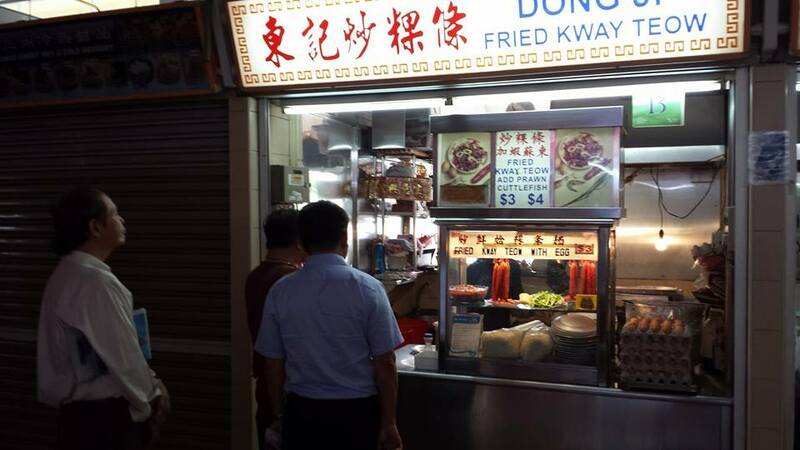 this must be the most value-for-money S$4 char kuay teow. 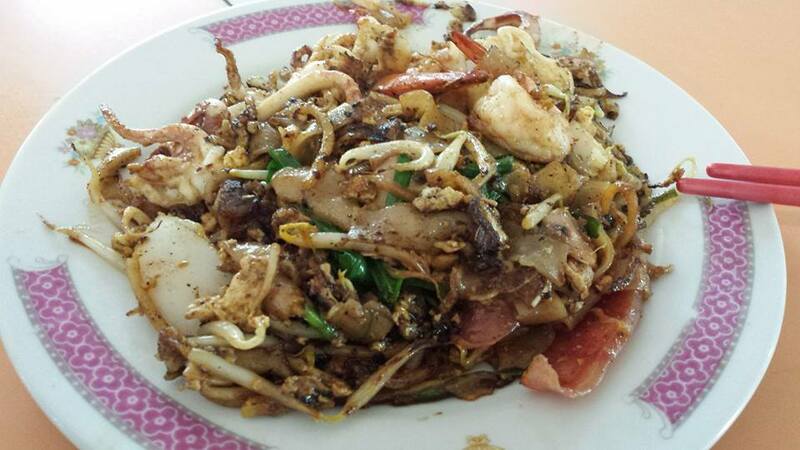 still, my friend prefers this dry char kuay teow, but i prefer the wet one at hai kee teochew char kuay teow at telok blangah with lots & lots of cockles added – 加料. we ought to be full by then. 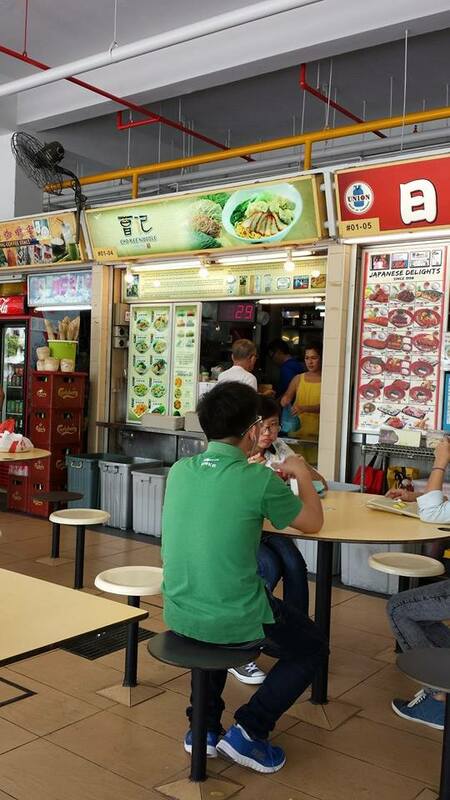 but my friend wanted to show me the 2 good wanton mee stalls which were just few stalls away from each other. 1 was closed, so we shared 1 bowl from cho kee. 4 wantons were good, soft, skin held together & tasty. char siew was good, and most importantly noodles was qq & taste was good. for me i felt the chilli was not spicy enough. 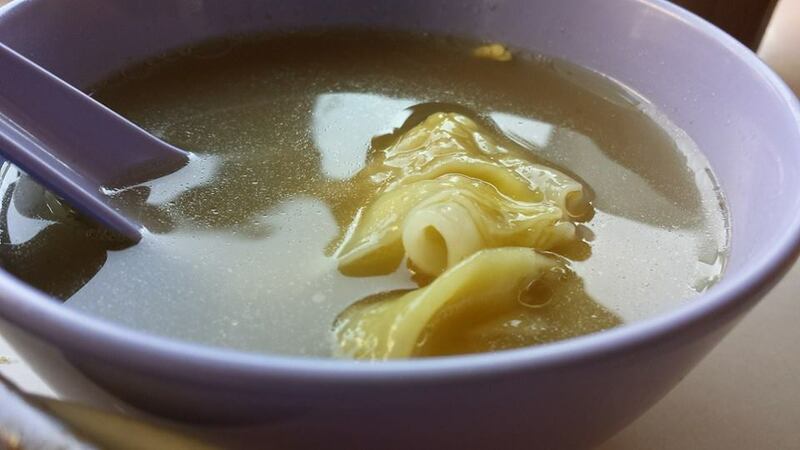 this was about same maybe slightly less tasty than the wanton mee at KPT coffeeshop 401 hougang ave 10, S530401, and for me the best wanton mee was still kok kee previously at lavendar food square (not sure where it moved too), & the one at temberling road & red ring wanton mee were pretty good too. we started from sengkang sports centre, then along sungei punggol, past serangoon (coney) island, crossed over to lor halus wetland park, then along sungei serangoon to KPT coffeeshop 401 hougang ave 10, S530401 for makan. 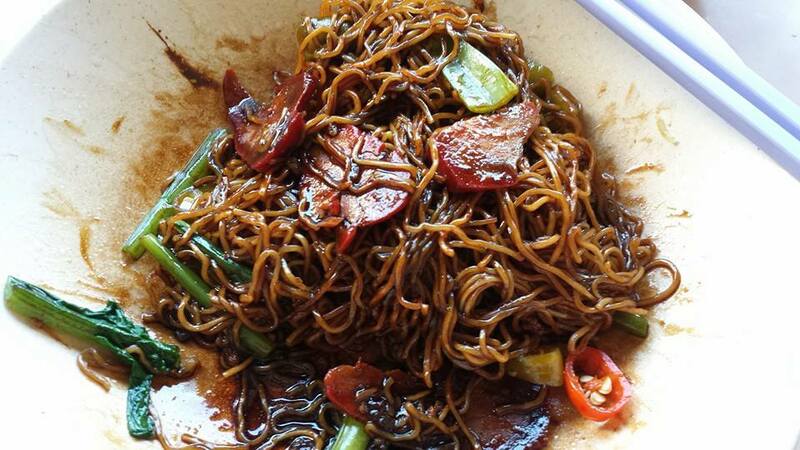 3 of us took the mee rebus there. those who took said it was good. another friend & i had the wanton mee. the sauce though was just a little bit sweet, so maybe not everyone would like this. 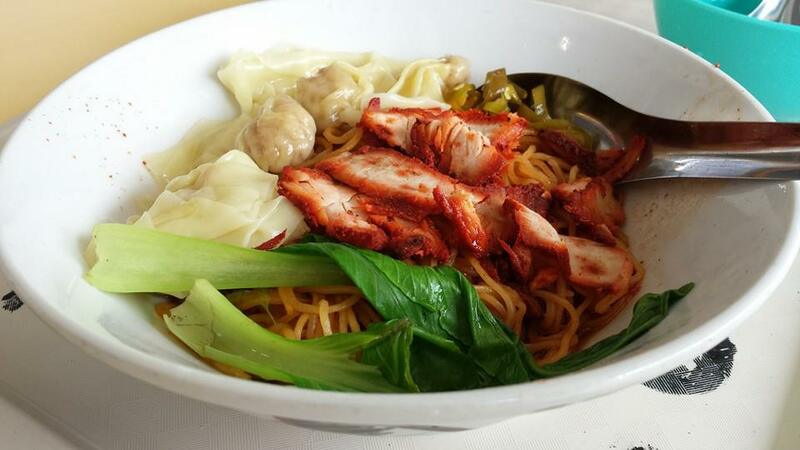 for me, kok kee wanton mee previously at lavendar food square (not sure where it moved too) was still the best. the other good stall which my daughter likes is red ring. 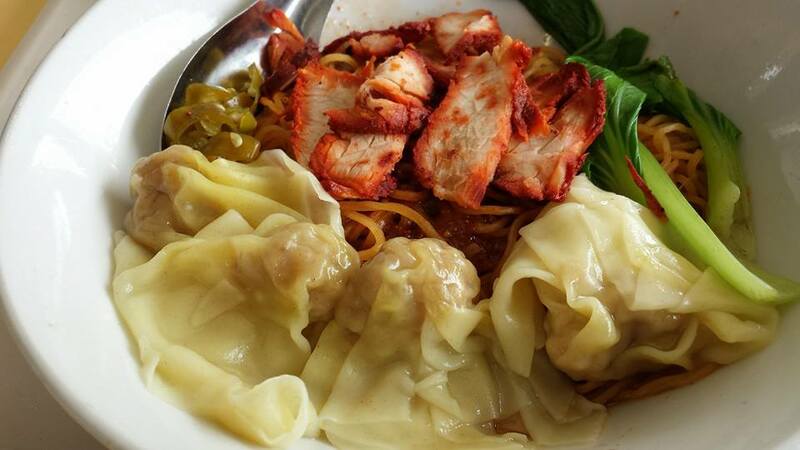 i would say overall red ring wanton mee is still better than this. we backtracked to Mywaterway promenade that leads back to sungei punggol side. and we spotted a family of otters when we arrived by at the riverside leading back to sengkang sports centre.